Dragon’s Crown is a stylish throwback to the old school beat ’em ups that once ruled the gaming world (think Golden Axe). In a genre that has struggled to maintain relevance in recent years, this latest offering from Vanillaware & Atlus feels like a breath of fresh air. By adding RPG elements to the classic brawler gameplay, the end result is one of the most enjoyable (and surprisingly in-depth) gaming experiences of the year. 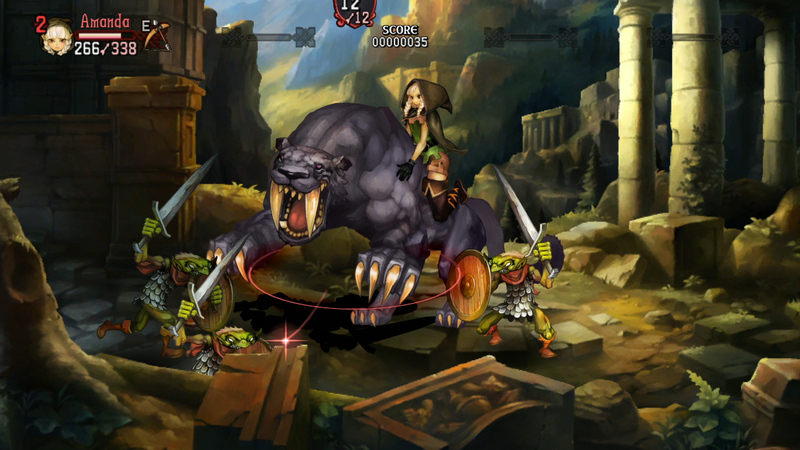 The core of the game consists of side-scrolling hack ‘n slash action. There are six different characters — Fighter, Amazon, Wizard, Elf, Dwarf and Sorceress — to choose from, all of which are completely unique and offer their own brand of gameplay. The most popular choices seem to be the Amazon and Sorceress, but I opted for the Dwarf for my first playthrough. What can I say — I was feeling nostalgic for Gilius Thunderhead from the Golden Axe series. The Dwarf’s biggest asset is his massive strength, and he has the ability to pick up enemies and throw them across the screen. These traits are quite useful, and they work especially well when paired with some of the other characters. The game is at its best when four players, all of different classes, are working together to annihilate whatever is on screen. Each character can be upgraded with new combat techniques, increased health, etc. by gaining XP through the game’s campaign. There are a total of nine stages that can eventually be unlocked to play through at your whim. This may not sound like much, but each level has alternate routes, hidden rooms and diverse enemies, making each trip feel different than the last. The stages are also wildly distinct from each other in terms of design. Underground caves, abandoned temples and fortresses are just a handful of locations you will come across. These areas always have randomized content in the form of both loot and enemies, and they culminate with some truly epic boss battles. These big fights are a major highlight, and they make each playthrough immensely rewarding. Another addition meant to encourage multiple romps through each level comes in the form of side quests. These can be anything from killing a certain amount of an enemy type to finding a specific hidden room that is only accessible via rune magic. These are all completely optional missions, but they deliver huge XP bonuses and are usually quite fun to seek out. As mentioned before, the levels can be played through at your discretion, but only after clearing the initial run through the first half of the game’s storyline. Once this is complete, however, the game really opens up, and it unlocks the ability to play online. This is where Dragon’s Crown positively shines. While the game can be played — and enjoyed — solo, it’s even better when playing with others. The AI partners are decent, but nothing beats working together with a few friends. When connected online, other players can jump in and out of your campaign, immediately taking over control of an AI character. You also have the ability to join a random room and help others. The transition to online play is seamless, and it’s incredibly easy to sync up with friends. 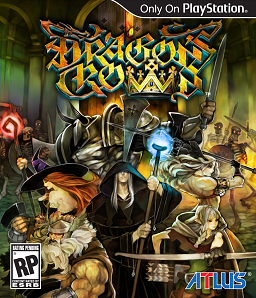 Now, this wouldn’t be a proper Dragon’s Crown review without discussing its controversial art style. Ever since the game was announced two years ago, there has been a bit of an uproar in some circles about the hyper-sexualized visuals. This is an understandable concern, especially since the Amazon and Sorceress characters in particular both constantly seem on the verge of busting out of their tops. On the flip side, the men are mostly covered from head-to-toe, aside from the beefy, bare-chested Dwarf. Although I agree that some of the women are ridiculously designed, the overall art style is absolutely gorgeous. The hand-drawn visuals are stunning with smooth animations, and they remind me a lot of classic fantasy illustrations. I do not have a problem with this artwork — in fact, this is easily one of the most beautiful beat ’em ups I have ever come across — but of course, your mileage may vary. 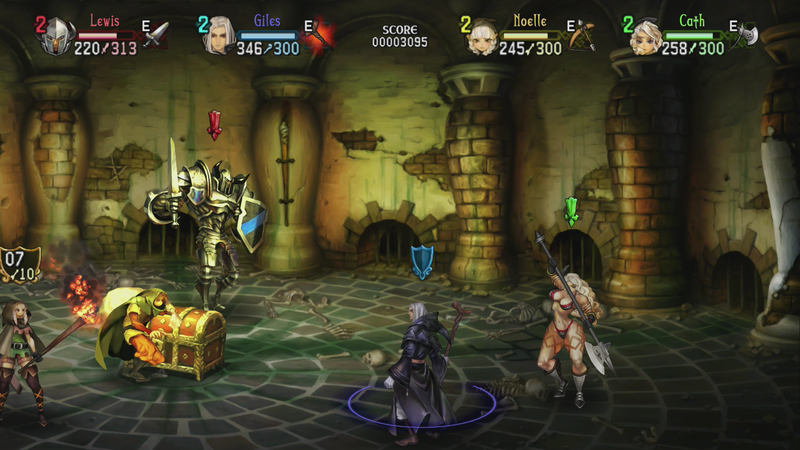 Dragon’s Crown is available for both PS3 and PS Vita, and the two versions are nearly identical. 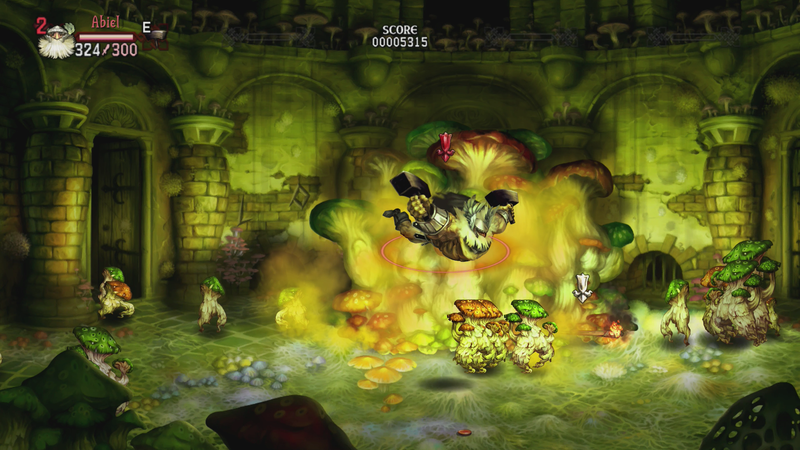 The Vita version suffers from occasional slowdown during some of the more intense battles, but this is outweighed by the nifty touch screen features. The PS3 requires using the right analog stick to point a cursor on screen, whereas the Vita only requires a simple touch. The bite-sized levels are also perfect for the handheld, and I found myself playing on the Vita more often. However, the PS3 does have an advantage in that offers local co-op. Unfortunately, this isn’t a Cross Buy (or Cross Play) title, but characters can still be shared between the two systems using the cloud save function. You can’t go wrong with either version, so it comes down to a matter of preference (and convenience). Dragon’s Crown isn’t exactly re-inventing the wheel here, but it is offering a refreshing and incredibly well-executed spin on one of the classic gaming genres. With so many quests and ways to play each stage, there is plenty of replay value. Completing a campaign with one character unlocks a brand new one at an increased difficulty — all things considered, there are upwards of 120 hours of potential gaming here if you were to play through every difficulty level with every character. And with such infectious, easy to pick up and play gameplay, that is certainly possible for any dedicated gamer. Don’t be surprised if this shows up in my Top 5 list at the end of the year. Great review! Seems like this game is receiving great reviews all around. Thanks! I have noticed a couple reviews that were a little more negative due to complaints about the art style, but otherwise this does seem to be quite well received. The game seems great. I was more interested in reading your review for some inspiration. You seem to be a great writer. Do you have anyone edit your stuff? Nah, it’s all me. I usually write out a review, sleep on it and then proofread/revise it the next day. I appreciate the kind words — they mean a lot to me. Heh, I don’t mind at all. Best of luck with your writing, and hope to see you around! I wonder if the sexualized designs would have been remarked upon so much back in the era that this is paying homage to. Maybe i was just too young to notice, but I don’t recall any such outcry with Golden Axe or Gauntlet. As far as the designs go, I think it’s just a matter of how much times have changed. I don’t think this game’s artwork would have been a big deal in the 80s or 90s, but now there are more calls to reduce sexism in the gaming industry. For me, I found the game to be a fun tribute of sorts to the old fantasy/D&D classics, but I can get how the visuals would turn off some people. I definitely want play this game. It’s a great buy for either system. One of my favorites so far this year. Looking forward to giving this a spin when it (finally) gets released in Europe! Great review. Thanks, Greg. Hope you don’t have to wait too long for this one!